Brickley Rise is idyllically found in under two acres of enclosed private gardens, previously apart of Ingoldisthorpe Hall Estate, Norfolk. Built in 1745, this traditional house was originally the former Laundry Cottage for the estate and has been beautifully restored and extended over the years. It now provides a high standard of self-catering holiday accommodation in a truly superb woodland setting for up to eight guests in four bedrooms. 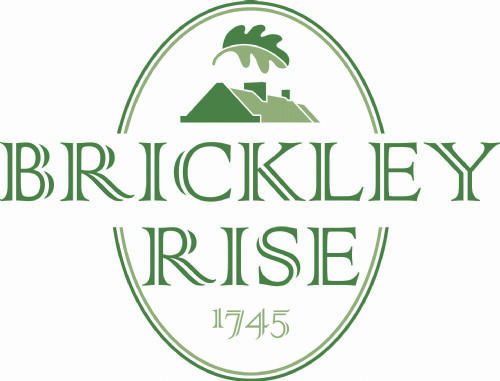 In 2017 Brickley Rise was awarded a 4 Star Gold rating by Visit England, something we are incredibly proud to achieve. We had a fantastic stay at Brickley Rise for our family Christmas weekend. The house is very clean, spacious and well equipped - everything has clearly been well thought out from the position of the plug sockets in each room to the décor and the equipment i.e. towels, hangers, hand soap in all bathrooms and condiments etc in the kitchen. Its a very beautiful house in lovely grounds. The children enjoyed exploring outdoors and the chickens! It was a little tricky finding the house in the dark on arrival but after that we were fine. Very suitable accommodation for children - very grateful for the stair gate and really useful other equipment such as travel cot and children's crockery. The toy box was a hit too! During our stay we visited Father Christmas at Thursford and went on the Polar Express at the Mid-Norfolk Railway - all very magical!! This is a comfortable, warm and clean holiday home. Amy was excellent at responding to queries and is very clear in her communications and follow up during the booking process. We had a lovely half-term stay here with our four children and it's in a great location for exploring North Norfolk. The house is well-presented with different rooms for people to relax in and have their own space. There are plenty of utensils and kitchen equipment. The house has a nice garden and outdoor furniture and is surrounded by woodland and fields in part of a larger estate. The house was peaceful. Great property ,clean,comfortable ,great location ,wanted to stay forever :) Will definitely be going back . My brother and I were looking to take our parents away for a long weekend and Brickley Rise was the perfect choice. Our party included 6 adults, a 6 year old and my 9 month old daughter and all were catered for and had a fantastic time. The house was of a very high spec, and set in lovely surroundings and in a great location to explore Norfolk. Amy was very pleasant to deal with and I would definitely return. Nice property. Quality fitting, comfy beds. Thoughtful layout and homely. Good base with many shops nearby. The property was amazing! Stayed with our 2 teenage daughters and Grandparents. Every detail was covered. Would suggest renting a vehicle as many nice places to visit with a few miles. The house is set in spacious grounds and is very well maintained. The surrounding woodland area is peaceful and relaxing, there is also ample parking space. Experienced a great short stay at Brickley Rise. The cottage was superb, very well appointed and with more than enough space to relax. Cottage accessed via a private lane, is secluded yet just on the edge of the village. It is ideally placed for visiting local attractions - not just Sandringham but also the north Norfolk coast and lovely countryside and quaint villages.. Stunning property in a beautiful location! Brickley Rise is such an amazing place to stay! The house is comfortable and spacious. Perfect location for exploring the area. We took our 2 little girls and they loved the animals and all the outside space. We were looking for something in a quiet location with all the home comforts. I am delighted to say Brickley Rise ticked all the boxes with every little detail taken care of. The bedrooms are well equipped and incredibly comfy. With everything being brand new everything worked and all the mod cons! We will be back for sure!! We stayed in Brickley Rise over Christmas, it was like a home from home and we would certainly come back. The house is very well equipped, board games for the family, utensils a plenty in the kitchen and lots of lovely little touches around the house. As we stayed over Christmas, there was even a Christmas tree and lovely decorations! I would certainly recommend the House to friends and Family. Fantastic for families. Everything thought if from cups, plates and toys for the little ones to prosecco glasses for the grown ups .